Although the Western Australian Academy of Performing Arts is home to one of Australia’s most prestigious musical theatre courses, the job opportunities for its graduates have, traditionally, been on the other side of the country. One WAAPA musical theatre graduate is doing his bit to help change that, however. Producer and performer Andrew Baker is staging musicals in Perth under the name Western Sky Theatre. Seesaw’s Nina Levy spoke to Baker to find out more about Western Sky and its next production, Gutenberg! The Musical. Andrew Baker: My background is in musical theatre performance. I trained at WAAPA in the BA course there and then followed the well-worn path over East. I had a great time over there working ever-so-occasionally in professional theatre, but got a bit disillusioned and went back to my old career as a lawyer. Since returning home to WA, I’ve found my way back into working in the arts sector in various roles. My passion for musical theatre has returned and it’s clear to a few of us that there is an audience for quality, smaller scale professional musical theatre in WA. 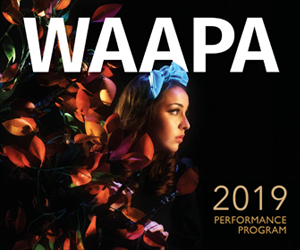 So there’s a bit of a gap in the market between, say, the always great work that WAAPA does in presenting a range of new and classic shows, and the big touring productions. There actually aren’t many opportunities for WA raised or trained musical theatre performers to work on their craft in Perth. So that’s how Western Sky came about. But it’s early days. NL: When did you found Western Sky Theatre? And what is its raison d’être? AB: Western Sky is pretty new. Our first musical was the gorgeous Australian piece Once We Lived Here, which we did at the Blue Room Theatre last year. It won two Blue Room Theatre awards and I think broke the Blue Room box office record. The idea at the heart of Western Sky is to give people who are from WA or who may have trained at WAAPA (and so have a WA connection) a reason to come home to Perth and perform in a well-produced small-scale musical (and hopefully get paid). In Once We Lived Here, for instance, three of the five cast members came home from the East to do the show, and all five had done undergrad. musical theatre degrees (four at WAAPA, one from Lasalle, Singapore). It’s about people getting a chance to do what they were trained to do, in front of their home audience. AB: Gutenberg is a rollercoaster ride of laughs. It’s about two dreamers, Bud and Doug, who have written a musical about the inventor of the printing press, Johann Gutenberg. They are presenting it as a backers’ audition, where they show it to a room full of Broadway producers in the hope someone in the room will take it to Broadway. They’ve written what they think is a big, splashy, epic musical that is serious. You’ll have to come and see if they get it to Broadway or not. 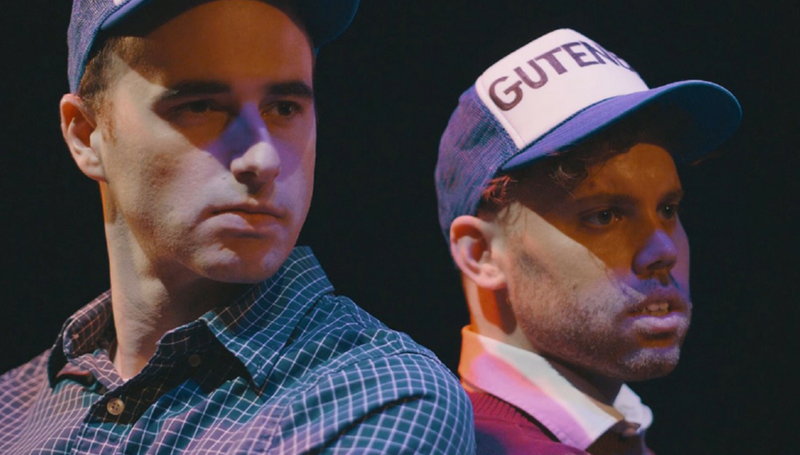 NL: The Perth indie theatre sector is (usually) very much about presenting locally written work… what made you choose to buck the trend and present Gutenberg! The Musical? 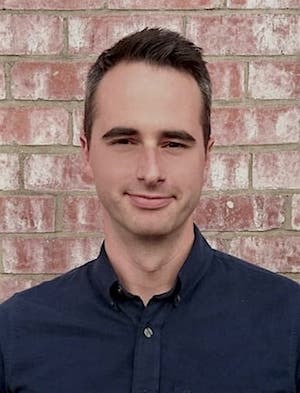 AB: The presentation of locally written work is vital and there are some excellent writers in Perth creating original musicals (my co-star in Gutenberg, Tyler Jacob Jones, is one such artist who is doing awesome work). In fact there is a big conversation going on at the moment about original Australian musicals. It’s a hot topic over East. But I feel that the original works space is pretty well looked after in Perth so our focus is producing shows that artists and audiences already know and love, and to bring them to new audiences in a new way. However, we’re open to all excellent musical theatre (especially when a lot of new work is written with small spaces and budgets in mind!). NL: And what made you decide to give this production another outing? AB: It was just so much fun the first time around but we performed it in a less than ideal space. We want to do the show in a real theatre space now! It’s also a big honour to be asked to be a part of the Subiaco Theatre Festival with the best of Perth’s independent producers and theatre artists. NL: You act in this show, as well as producing it… what are the pros and cons of being both producer and performer? AB: There are certainly times when I need to step away from marketing and other producing duties to make sure I’m giving my performance the time it needs. This is a really challenging show and it takes a lot of focus. So it’s about finding a good team, time management and prioritising well. NL: After Gutenberg, what’s next for Western Sky Theatre? AB: One of the important things we want to be mindful of is to take our time – to grow a culture around the company and to find a tribe of like-minded people over the first few years. We’re focusing on achievable, small shows and doing them really well! We have the next show in mind. And we’re chatting to people. It’s exciting! Catch Gutenberg! The Musical at Subiaco Arts Centre, as part of Subiaco Theatre Festival, 27-30 June. Pictured top: Andrew Baker and Tyler Jacob Jones in ‘Gutenberg! The Musical’.